Ask yourself “why is my perspective, a woman’s perspective, important for the industry?” If you cannot answer that, then try harder. After I interviewed Jared Tate, the founder of Digibyte, over 1 million viewers watched the video. Many of them came back to me and said — it took an anthropologist to really understand that power of blockchain.What do you bring to expand that understanding? 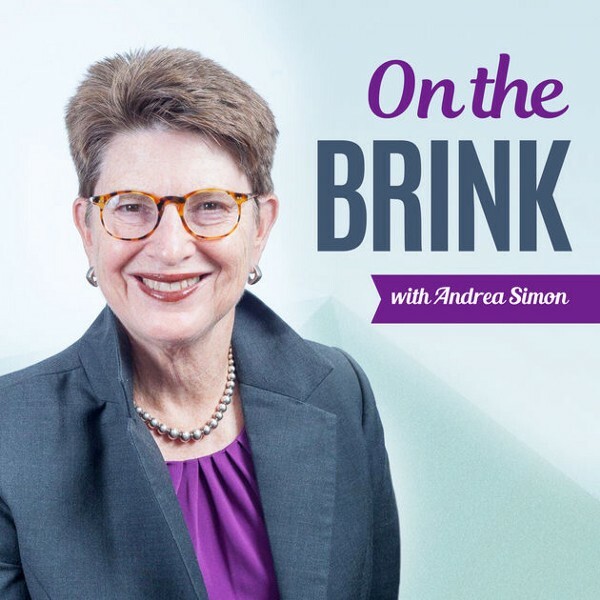 I had the pleasure of interviewing Dr. Andi Simon, a corporate anthropologist, award-winning author of the book “On the Brink: A Fresh Lens to Take Your Business to New Heights,” & founder / CEO of the global consulting firm Simon Associates Management Consultants. Through her blog and podcast “On the Brink with Andi Simon” Dr. Simon has been educating us on blockchain systems and the great digitalization of our business processes. I became an anthropologist when I was at Pennsylvania State University. I just saw the power and scope of how anthropology can help us see, feel and think in new ways about ourselves, our evolution, and how we organize our cultures today. I was a professor of Anthropology and American Studies at Ramapo College in New Jersey where i had a post-doc on American society and run two television shows for CBS. I was introduced to executives at Citibank during bank deregulation through my husband. It was a lovely cocktail party and I was chatting with folks about my work in culture change and they said, “Why don’t you come in and help us change.” And come in, i did. My career in financial services took off, i spent 15 years as an executive in three banks and then i got into Healthcare during managed care to help them change. After 9/11 it was time for me to launch my own business as a corporate anthropologist that helps organizations change. We have been working with an accounting firm for two years helping them change their culture, rebrand them and prepare them for change in an industry that is quickly adopting new technologies, as are their clients.We have learned that aspirations have to turn into perspiration, as they say. And change is challenging. While you know you have to change, the brain hates to change and habits take over making doing new things very difficult to embrace. We work with many colleges and universities. Having been a professor I totally understand the cultures of the higher education institutions. They are facing dramatically different cultures and demographics. Demands for their traditional academic training is waning as the next generation of students, traditional students and adult students, realize that they need a blend of technical skills for jobs and personal skills to better communicate, collaborate, create and coordinate. The universities are slow changing and resist even the desires of their students and the employers who have to hire them. There are more jobs open in the US (6.7 million empty jobs) then there are people to fill them (6.4 million). There is big need for continuous reskilling. My husband and I have launched the Simon Initiative for Entrepreneurship at Washington University in St. Louis to help entrepreneurs, particularly women entrepreneurs develop, scale and fund their entrepreneurial ventures.It launches this Nov 3rd and we are sold out for the first HERs Summit (Helping Entrepreneurs Rise). I think the most powerful force in my career path has been my husband. Andrew “Andy” Simon has been a believer in me since we met in 1966. We have been married for 50 years. When I met him he asked me what i wanted to be. I said: “Either an attorney or an anthropologist.” He said:”Oh become an anthropologist and I’ll be here for you.” And here for me he has always been. Whether I was away in Greece doing research or doing CBS Sunrise Semester TV series, or applying my methods as an executive in financial services or healthcare firms, Andy has had the insights and support for me to ensure I never looked back, wondered why I was doing something that I was unfamiliar with, or how to develop the skills I needed to thrive. When i launched my business, Andy was right there opening channels, creating opportunities and applauding as we moved forward. At its simplest, blockchain is a distributed, secure ledger, like we have had for a very long time. At its brilliance, it frees us from those controlling intermediaries like banks and credit cards and Western Union who are neither as secure nor as simple, easy and low-cost. Through blockchain you can send money from your iphone to another for 2% not 10%. Going past the simple, secure, distributed model, the track and trace capabilites of blockchain is very powerful. I interviewed for my podcast Marten Ven from Te-Farm whose company is putting blockchain systems into the food chain so grass-fed beef from Wyoming can be tracked and traced all the way from the farm to the table and clearly differentiated from manufactured beef. In VIet Nam, blockchain embedded on Australian beef identifies the beef as precisely what it is supposed to be, Australian beef. The diamond industry is putting blockchain onto each diamond. Since each is unique, you will now know for certain that what you bought is what you got. The city of Zug in Switzerland wants to become a total blockchain city. As a model for innovation, they are showing how you with your digital ID can operate without intermediaries,without central control, without having paper. How cool is that? Healthcare is another area where blockchain is coming on strong. Today’s medical records systems are absurd. You go to a doctor and he uses ALlScripts, you go to a hospital where they use an EPIC system.They don’t talk to each other and neither talks to the lab or the radiologist. Without interoperatbility you have to hope the doctors who are diagnosing you know your history and avoid medical errors and the comorbidities and polypharmcy issues that can often occur.With your health records on your block you can control the information and what is released to whom. Security — is it really secure when you release the information and what about those miners, how secure are they? The dependence on distribution is both a strength and a challenge because people worry about who is managing or controlling or doing the distribution — everything that is good can turn into bad in the hands of the wrong people. The resistance of people to change. I was excited to see WalMarts insisting that its food providers use blockchain to ensure the food they receive is what they bought and what they will be selling. As with all new technologies, regulations may insert controls that thwart the entrepreneurial innovations that are going to be needed to make blockchain expand beyond a few. It may also slow down the expansion rather than guide its growth. Cryptocurrency is where it began. IBM had 400 clients developing blockchain innovations that are transformative. But the tokens, track and trace and security are all going to come together to create a major transformation of our ways of doing things. Pulling it all together is going to be a very exciting challenge. Goodness is a good word. I have raised two amazing daughters each of whom is happily married, is a professional woman, and is raising happy granddaughters. My husband and I are married 50 years and still laugh a lot. I begin there because happiness, well-being begins with the simple acts of kindness, sharing and love. Beyond my family, I work with anthropologists around the globe who are trying to build their own success stories. They become 1:1 relationships where their challenges become mine and my experiences help them. 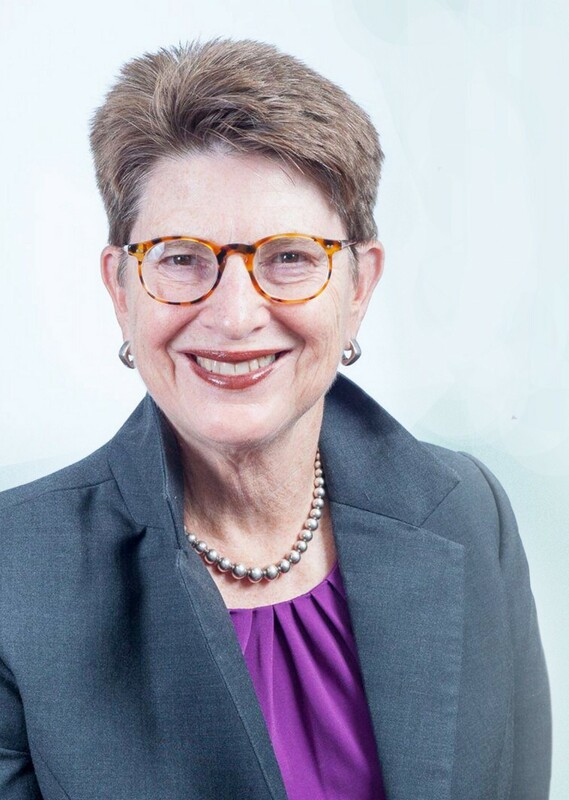 The work i did for many years on not for profit boards, whether it was Eva’s Village where we fed the hungry, or the Hudson Valley Philharmonic where we brought music to kids and adults, or the hospital board, were all meaningful both to me and to them. Today, my husband and I are focused on the purpose and promise of the Simon Initiative for Entrepreneurship at Washington University. We are both successful entrepreneurs. We want to help others craft big ideas and make them happen. We hope our energy, resources and experience can connect people, inspire them and offer them the help they often need to just talk to people who understand. I am an observer of blockchain because I am a believer in the system, the technology, and what it can represent as a transformative technology and culture shift. I have interviewed women who are trying to be bold in the blockchain sector. They at times get caught up in the “guy” thing. So many of the folks in the sector are men that the women try to compete not collaborate. My advice to them has been all about what do you bring to the story to add value innovatively. Rather than compete for air time as another, develop something that enhances society’s adoption of and affection for and understanding of blockchain. Both are how I show people the way forward when they are stuck or stalled. Most of us are “On the Brink” and that is how we help them see, feel and think about possibilities that are all around them. We have always been on the brink and have realized that if we listen and watch the solutions are right there before us. The science of wellbeing, the course taught at Yale to their students is all about how to regain a culture of happiness and well being. Part of the rewiring to attack depression and anxiety is to get people to eat together and talk to each other. Another is to do small acts of kindness every day. With a third of our world depressed, i think kindness and conversation could restart our love for each and end the violence this country is facing today. The second issue is that the world is going to die of thirst. Only 60% of Africa has clean water. We are draining the aquifer and soon we will not have food either. Tyler is the CEO and Founder of Regal Assets, an international alternative assets firm with offices in the United States, Canada, London and United Arab Emirates focused on helping private and institutional wealth procure alternative assets for their investment portfolios. Regal Assets is an Inc. 500 company and has been featured in many publications such as Forbes, Bloomberg, Market Watch and Reuters. With offices in multiple countries, Regal Assets is uniquely positioned as an international leader in the alternative assets industry and was awarded the first ever crypto-commodities license by the DMCC in late 2017. Regal Assets is currently the only firm in the world that holds a license to legally buy and sell cryptos within the Middle East and works closely with the DMCC to help evolve and grow the understanding and application of blockchain technology. In addition to his role with Regal Assets, Tyler has been featured in many news publications and has been featured as a expert commentator on “The News with Ed Shultz”. Prior to founding Regal Assets, Tyler worked for a Microsoft startup led by legendary tech giant Karl Jacob who was an executive at Microsoft, and an original Facebook board member.